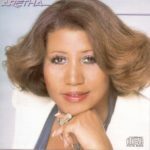 Aretha is the twenty-eighth studio album by American singer Aretha Franklin, Released on October 25, 1980 by Arista Records. 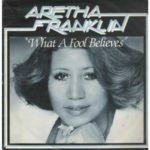 Franklin’s first Arista single release, “United Together”, reached #3 on the Soul chart and crossed over to #56 on Billboard’s Hot 100. The album itself peaked at #47 and spent 30 weeks on Billboard’s main album chart, eventually selling close to 350,000 copies. “What a Fool Believes” is a song written by Michael McDonald and Kenny Loggins. The best-known version was recorded by The Doobie Brothers (with McDonald singing lead vocals) for their 1978 album Minute by Minute. Debuting at #73 on 20 January 1979, the single reached number one on the Billboard Hot 100 on 14 April 1979 for one week. The song received Grammy Awards in 1980 for both Song of the Year and Record of the Year. Great version of what a fool believes with Jeff porcaro on drums! Funky stuff!